A trust is a relatively common legal arrangement in property wherein a	trustee holds property or assets for a beneficiary. The trust may be created	by the trustee by a settlor and to assign an individual or group for the	benefit of the trust’s beneficiaries. At The Law Offices of Andrew	J. Bolton, Esq., our probate attorneys and estate planning attorneys in	The Woodlands, Spring, and Conroe are experienced in practicing trust	law and can guide you throughout the legal process. 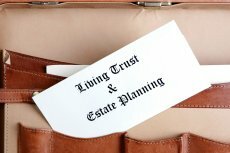 Trusts are often created as a way to separate legal ownership and control	of assets from equitable ownership and other parties. This means that	in many cases, the trustee has ownership of the assets of property in	the trust, but is obligated to use the assets or property solely for the	benefit of the trust’s beneficiaries. When you choose to work with	The Woodlands probate lawyers from our law firm, you can set up or manage	your trust and rest assured that you are receiving qualified legal representation. Our team can also guide you through the steps of getting a trust validated	during the probate process. For more information, visit one of our locations today or	call us at (936) 435-1908. Tell us about your case to request a consultation. The Attorney who carefully listens and weighs all options. Evening & Weekend Appointments Available! We make it easy and affordable to meet with a probate lawyer from our office. Call us today for a consultation.